Strickland Construction, Inc. is a company specializing in general contracting, construction management and design build. Our company has earned continued success by providing construction solutions to our clients and delivering high quality service. Being in business for 17 years, our portfolio includes working with City Municipalities, Department of Military Affairs, County School Boards and various developers, and includes airport, educational, medical and retail projects. We have completed over 60 million in construction services. What truly sets Strickland Construction apart from our competition is our people. We have assembled a team of experts, each of whom is dedicated to delivering quality service, while remaining passionate about safety and building a better community. Simply stated, our team is unparalleled and the reason for our success. Our management team consists of customer-oriented individuals that work diligently to function as an extension of your team. It is the devotion that allows our company to establish lasting relations by delivering construction solutions to our clients. We are committed to exceeding our client’s expectations for quality construction. We consistently do what is in our clients’ best interest by following our company’s values, methods, and principles, based on mutual trust. Mike Strickland has 23 years of experience in construction management and supervision. He began his career managing commercial construction projects in 1996. In 2001 he incorporated Strickland Construction, Inc. and has since completed over $60 million in projects. He gives every project has personal attention and is responsible for overseeing the operational and financial aspects of the company, and the overall business strategy. Mickey Myers is an accomplished project manager and estimator with 23 years of experience in the construction industry. He is a certified building contractor, portrays outstanding leadership, overseeing multiple projects and crews. He is dedicated to ensuring the highest level of construction quality, maintaining full adherence to all deadlines and specifications. "Strickland has exhibited perhaps the most important aspect of the development/general contractor relationship through their honesty and integrity. We continue to work with Strickland on new projects and would highly recommend them." "As Building Facilities Manager for the City of Lakeland, I have utilized the service of Strickland Construction in various capacities. I have been pleased with their workmanship and pricing. Mike Strickland and his superintendents work very cooperatively with me and my staff. I would recommend them for any of your future construction projects." "Strickland Construction, Inc. did a great job and provided great communication with the team and provided excellent quality of work. I recommend this company for future projects." "Michael and his staff did a great job of making the process as smooth as possible. I was pleased with their responsiveness and pricing of the project. 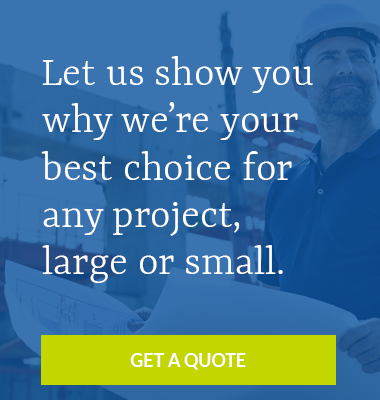 I would recommend them for any of your future construction projects." "Michael and his staff at Strickland did a great job making the process as painless as possible. They stayed on schedule and were easy to work with, which is always important. We are very pleased with their work and would recommend them." "I understand that the project was completed ahead of the construction deadline. City staff (building inspectors and public works crews) were complimentary about the relationship between Strickland Construction and City personnel." "Library staff was pleased with not only the quality of the work, but also with the communication with the contractor. I am happy to recommend this company for future projects."